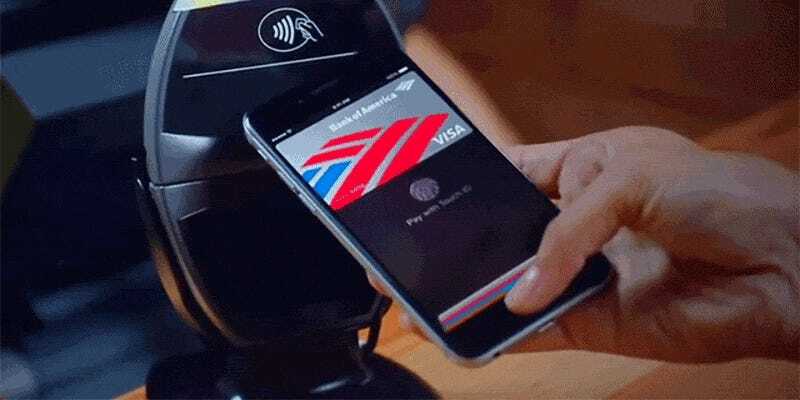 With support for Apple Pay rolling out to more and more locations, as well as improved integration bundled into the latest version of iOS, it’s way easier to use Apple’s mobile payments platform. Update-to-date iPhones can now pay for things right from the lockscreen. All you need to do is double-tap your iPhone’s Home button on the lock screen to bring up your linked cards and get ready to pay—a Touch ID confirmation is still required. Don’t take too long with your double-tap, otherwise Touch ID activates and unlocks your phone for you. The feature should be already enabled on your iPhone, but it depends on how you upgraded to iOS 9 and whether Apple Pay was previously configured in iOS 8. To make sure you’ve got access to the shortcut when you need it, head into Settings then tap Wallet & Apple Pay. The option you’re looking for is labeled Double-Click Home Button. Obviously, this feature will only work on the iPhone 6 and the new iPhone 6s due to hardware limitations on iPhones that have come before.